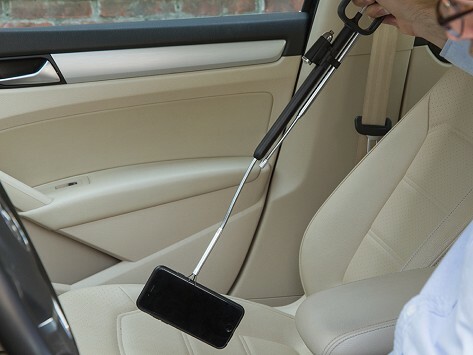 This grabbing tool recovers dropped keys, credit cards, phones, or anything that falls into hard-to-reach areas. The telescopic body is flexible, bending to gain better access, and the trigger-activated claw is super strong. 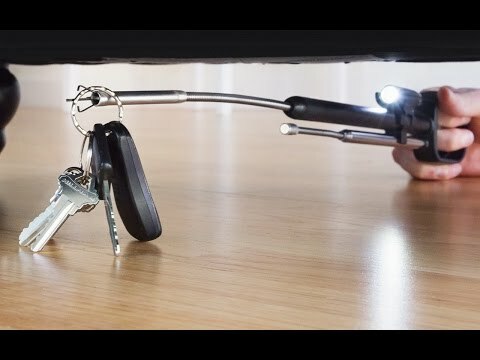 A detachable LED light and magnetic arm both help to retrieve lost items—in the car, behind the fridge, or anywhere that is out of reach. Sturdy and durable 4-pronged claw capable of picking up 5-10 lbs. Dimensions: Closed: 13" x 2.5" x 1"; Fully Extended: 23" x 2.5" x 1"
Husband likes it very much. Grabbed this for my hubby as a gift and he was so excited! Works like a charm. I am always dropping small articles between the console and the drivers seat. Does the job! When keys, loose change, credit cards—or even your phone—get stuck in hard-to-reach places, ODii can give you a hand. This grabbing tool has a tiny claw that lets you control the grip. It’s like a mini version of that arcade claw game, but it doesn’t let go. Squeeze the handle firmly for a tighter hold. For a more delicate item, ease up on the grip. The slim, flexible body bends to navigate awkward angles—like behind the fridge, under furniture, or between the seats in the car. For extra help, a super strong magnet holds up to two pounds, and a detachable LED light brightens up the search area. Creator Kenn Buxton invented ODii after an unfortunate trip to the drive-thru. He dropped his cash between the car seats, and was unable to pay because he couldn’t reach it. With this grabber in a kitchen drawer or your glove box, you’ll be ready next time something drops out of arm’s reach.